"check that option Advanced Parameters > Performance > Disable non thirty bees modules is not enabled" changing that fixed it. THANKS!! Is it correct that one user can post a review on a product and edit it afterwards? 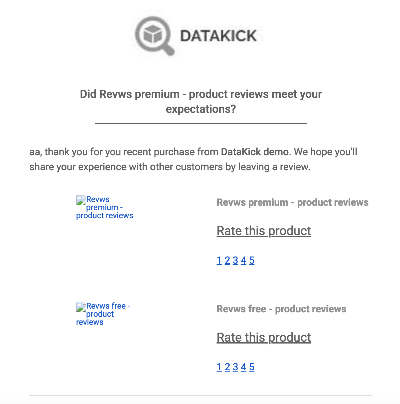 Would it not be nice for one user adding more than one review periodically on a product, somewhat like votes? In shops that have limited products that get resold often, it would be quite useful. Is it correct that one user can post a review on a product﻿ and edit it afterwards? 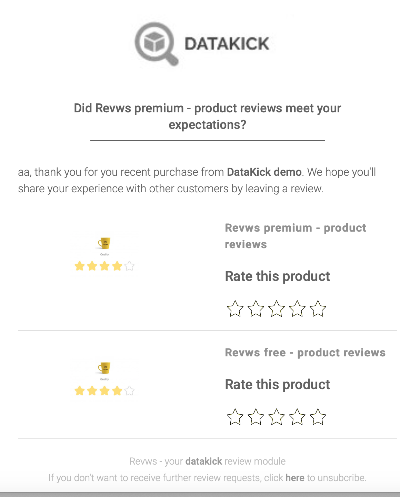 Would it not be nice for one user adding﻿ more than one review periodically on a product, somewhat like votes? In shops that have limited products that get resold often, it would be quite useful. - Is it not possible to have different settings per shop (multistore)? - Is it not possible to show half stars? I have too many 5 star ratings... Would prefer to see some 4,5. 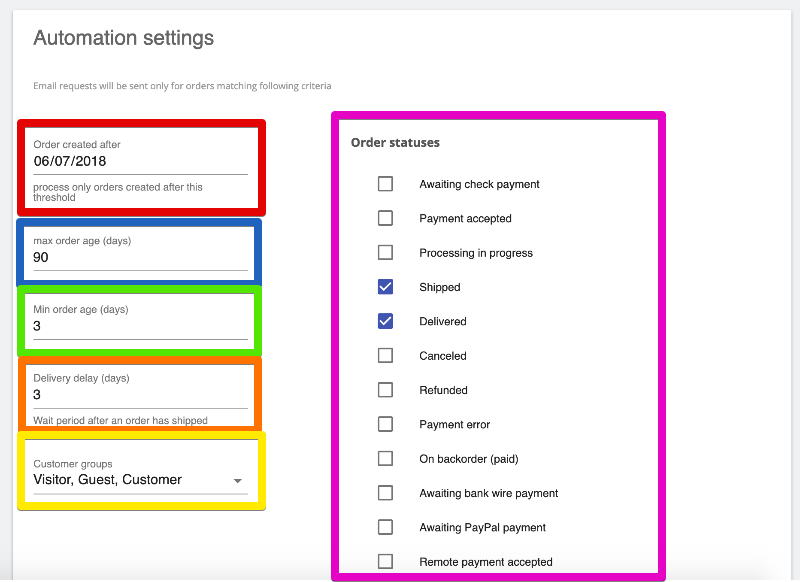 - What does the order status for review request mean? Does it take the history into account or only the status, which is set now? I have noticed that the image problem in the email occurs mainly in gmail. There the image is not displayed. The links are working for me now. Not optimal, but still quite usable. I know the fact, that emails are displayed differently between different softwares and hosters. But I don't understand why you include the images as something like: "https://www.genzo.ch/module/revws/EmailAction?id=109&amp;action=get-image&amp;image-id=8585&amp;image-type=home_default&amp;secret=e3924af42551cb03aba93ce14d2ea5ca"
Why not just the real url? In which case does the normal url not work? This special url is called web beacon, and its purpose is to track email delivery and interaction. It's the same technology that mailchimp and any other mail marketing software is using. I noticed reviews don't show up in the default android gmail browser, neither the existing reviews/ratings nor the button to write a review. I was signed in. Works correctly when the link is opened in chrome on mobile. I noticed reviews don't show up in the default﻿ android gmail﻿﻿ browser, neither the existing﻿ reviews/ratings nor the button to write a review. I was signed in. Maybe you have revws module disabled on mobile devices? Works correctly on mobile chrome browser. Doesn't work on gmail's default browser. I am quite sure, that there is a bug in automation. I see too often: Waiting for order to be delivered. But the order is delivered and the status is also activated in the settings... Do I miss something else? Ah maybe thats the problem, but I believe the module should work a bit differently then. I have 10 days there. My situation: I have two order status, which mean the order were shipped ("shipped" & "order finished"). The process is always the same. Every order is first "shipped" once its shipped & paid, its "finished". Now when an order is 9 days on "shipped" and then changed to "finished", it means, that the email will take 19 days, cause its starting the counting again. 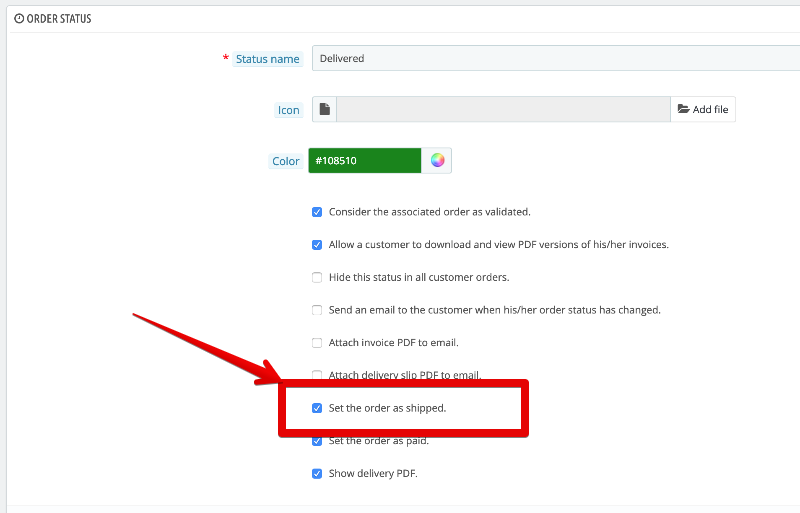 In my opinion the module should also check for ps_order_history as many people just want something like: 10 days after I shipped the order, the email should go out. In my case I don't see any possibility to achieve this. Ah maybe now I understand better why you use min order age. Should I go for min order age = 10 and delivery days something like 3 achieve something similair as described above? Missing item reviewed is not problem with my module, but rather with your theme. More specifically, layout of your product page, and the placement where review widget is located. revws module is NOT responsible for emitting metadata about product, that is theme's job. Most themes, of course, output product metadata to the page. And I'm sure your theme does as well. The problem problably is that review widget is not placed inside <div> element that describes product. Valid example -- rating metadata are within <div> with with itemtype=https://schema.org/Product, so google can associate reviews / ratings with this particular product. Revws module let you choose one of the two hooks to render widget into. But where in the page are these hooks rendered is sole responsibility of theme. Thanks for your answer. I am not sure what the exact problem is, but there is something strange going on. https://search.google.com/structured-data/testing-tool/u/0/?hl=de#url=https%3A%2F%2Fwww.spielezar.ch%2Fwuerfelspiele%2Fnations-das-wuerfelspiel You see that my test gives Product, Review and AggregatRating as separate blocks. Same Test with yours https://search.google.com/structured-data/testing-tool/u/0/?hl=de#url=https%3A%2F%2Fdemo.getdatakick.com%2Fen%2Fpaid-modules%2Fdatakick-data-management and we see all structured under product. So it seems that you are right with the div thing. But I am not sure... I have the div Product correct around everything. I believe that somehow the loading doesn't work correctly here. Please check my source code shortly for https://www.spielezar.ch/wuerfelspiele/nations-das-wuerfelspiel. You will see that there is no http://schema.org/Review at all. But very strangely Google can manage to find it in it's test tool. How is it possible? Please check my source code shortly for https://www.spielezar.ch/wuerfelspiele/nations-das-wuerfelspiel. You will see that there is no http://schema.org/Review ﻿at all.